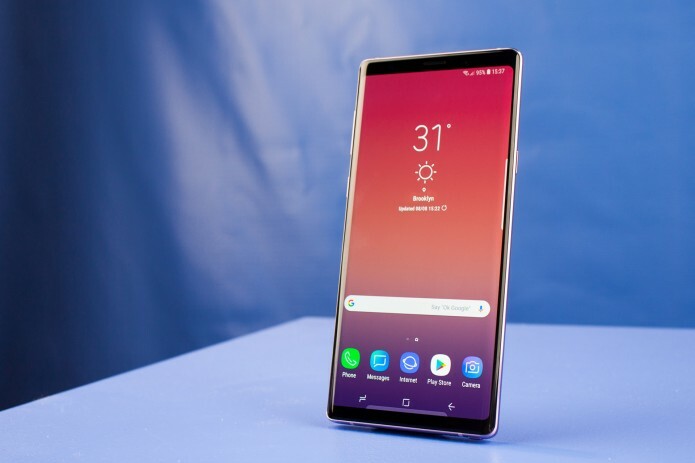 Samsung Electronics launched the Galaxy Note 9 "phablet" in New York on Thursday (August 8), promising better battery life and quick cooling to attract gamers and revive flagging sales. CNET Executive Editor Roger Cheng described the phone as a "modest improvement" over earlier models, but not a "game changer". "This is a good phone. You could argue it's probably one of the best, if not the best, Android phones out there, at least for now," Cheng told Reuters, but he questioned the high price tag. U.S. carrier Verizon Communications said the new device will be available for pre-order from August 10, with the 128 gigabyte model priced at $999.99 and 512GB model at $1,249.99. Sprint will introduce the smartphone on August 24 (Friday) and offer a 50 percent discount as part of a promotional scheme. Samsung also launched the Galaxy Home speaker, a device that will use its Bixby voice assistant and compete with similar products from Amazon, Apple, and Alphabet's Google.